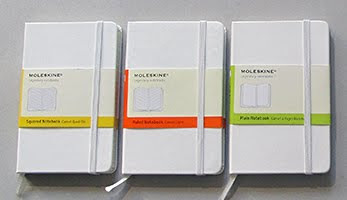 Have you heard that Moleskine now offers several of their classic notebooks in WHITE? I was very excited to hear the news! 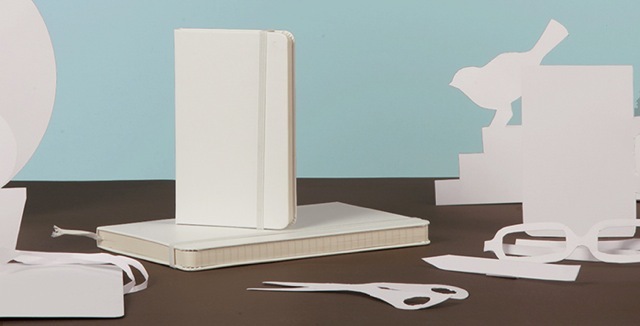 They won't be available in stores until July but you can order them directly from Moleskine's website now. I've already ordered a large classic hardcover that's on it's way to me as I type. I plan to use it as a dream journal. I have such bizarre and interesting dreams. My husband says my dream life is so much more exciting than my real one. Haha. So true. I think he rolls his eyes whenever I start telling him one of my wild and rambling dreams. I always wish I could somehow visually record them. I dream in vivid color!